Napa wineries are known to have the “No Food” rule. It has to do with a law that was enacted in the 1980’s to protect the valley from losing its agricultural lands to development. So imagine my surprise and confusion when my girlfriend asked me to meet her for lunch at Clif Family Winery. 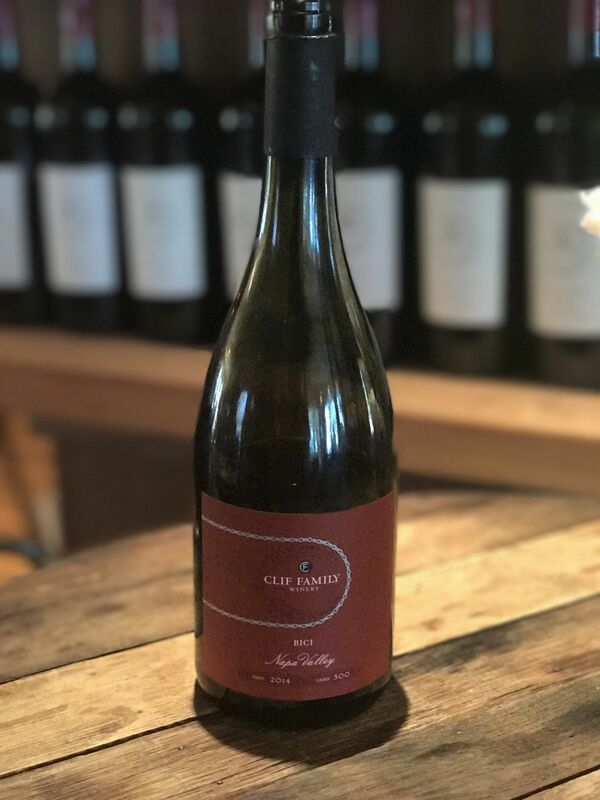 Clif Family is a tasting room/salon and technically do not have food in their tasting room (except Clif Bars). What they do have is a Bruschetteria Truck parked right outside. When I think of bruschetta, I think of toast topped with tomatoes, garlic, basil and olive oil. It’s a fresh yummy combination of flavors that I love and make often for dinner parties. I couldn’t get my head around how that would equal a lunch meal though. I went with an open mind and a hungry tummy. I am glad that I did both because I have to tell you, this has become one of my favorite quick-lunch grabs when I am in the area. I have eaten there no less than four times since discovering it as a great lunch spot. 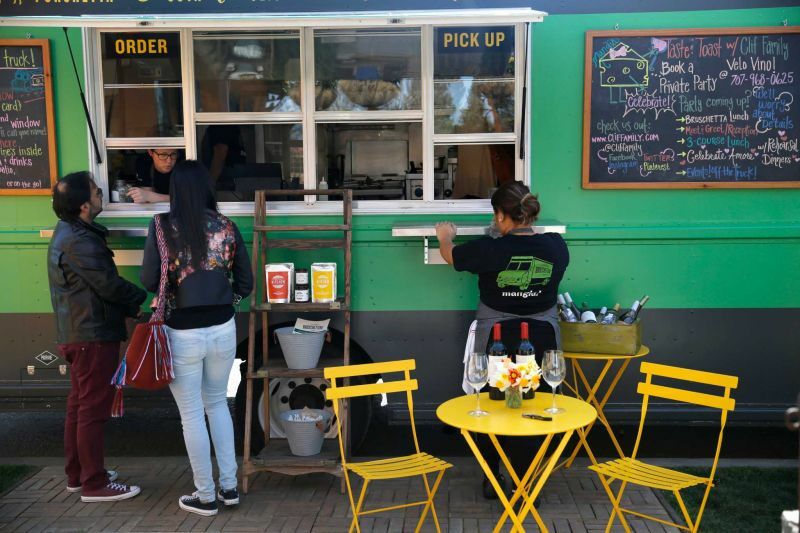 So what does a bruschetteria truck offer? A mix of salads, Italian style starters, and their “spin” on bruschetta. I have yet to try their salads, but I did manage to try their arancini starter which is a ball of risotto stuffed with cheese, rolled in breadcrumbs and then deep-fried for the win! 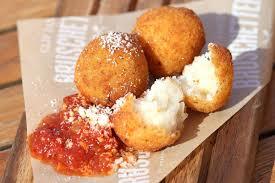 It is served with a side of marinara sauce to dip. Need I say more? 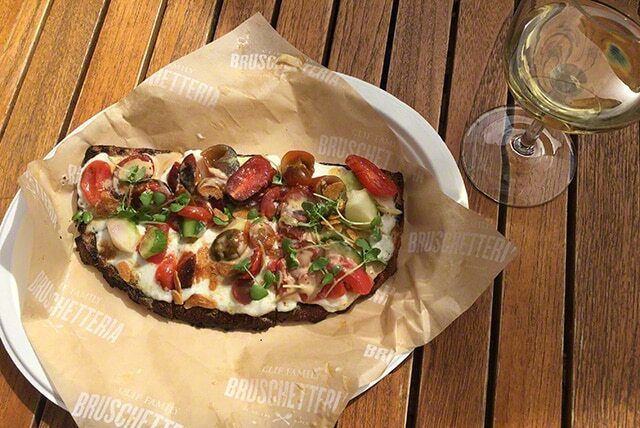 The bruschetta itself is a kind of open-faced sandwich on bread that they have toasted over an open fire. The bread they use is baked especially for them at The Model Bakery. I have tried four different kinds so far: The Fungi, The Pomodoro, The Cured Smoked Salmon and the Agnello. The Funghi is just like what it sounds. 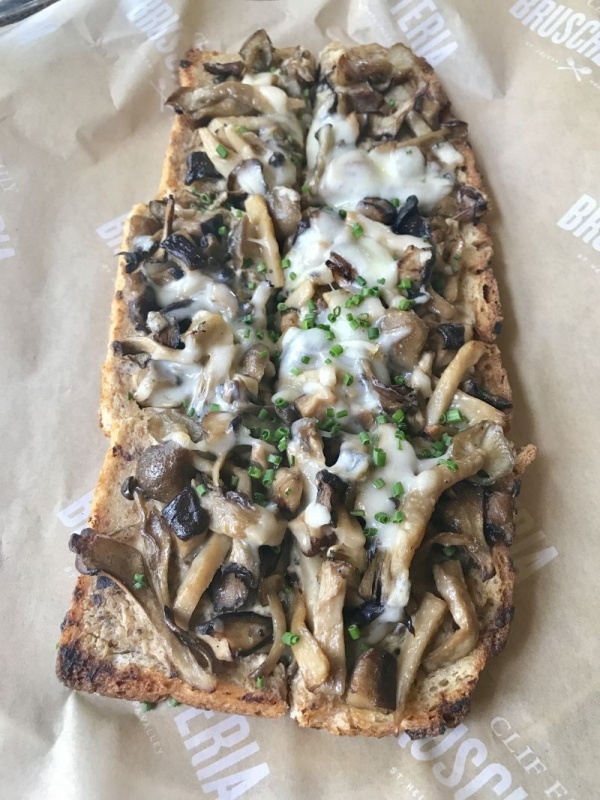 Beautifully sautéed mixed mushrooms topped with melted Fontana cheese and sprinkled with chives. Oh, so good. The Pomodoro is all about fresh tomatoes, burrata and sliced cucumber with a light miso dressing and sesame seeds. Its so fresh and delicious! I just loved it. 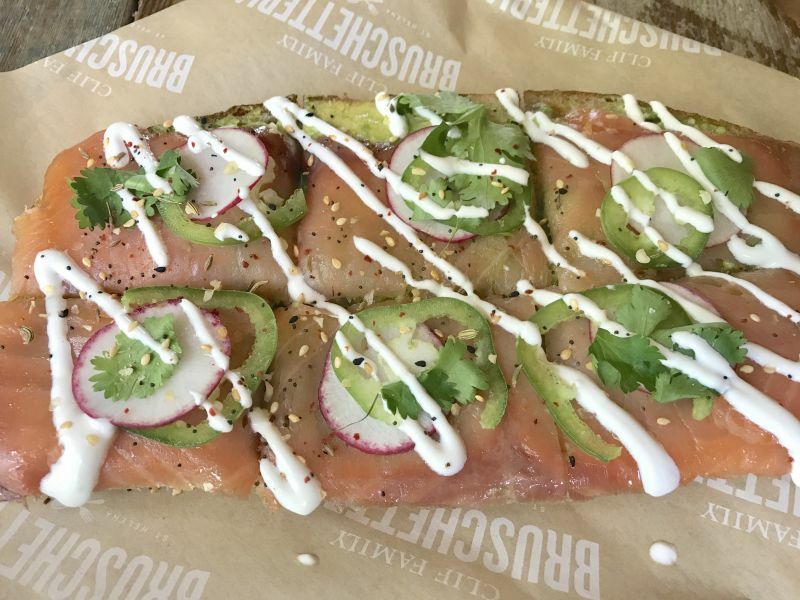 The Cured Smoked Salmon has a layer of avocado, followed by smoked salmon, jalapenoes, a few radish slices and creme fraiche. Yummy. But my absolute favorite has been the Agnello. Honestly, I could eat this every single day. 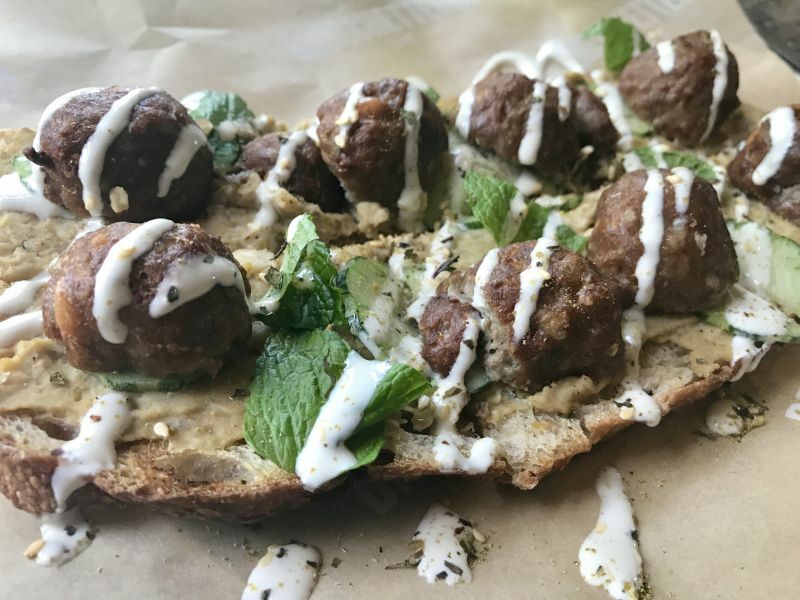 Toasted bread slathered in humus, then topped with lamb meatballs, tzatziki, and mint. There is so much flavor in each bite, my eyes roll back and I go to my happy place. Simply outstanding! I haven’t tried any of their deserts but I have tried the food with the wonderful wines that Clif Family produce. 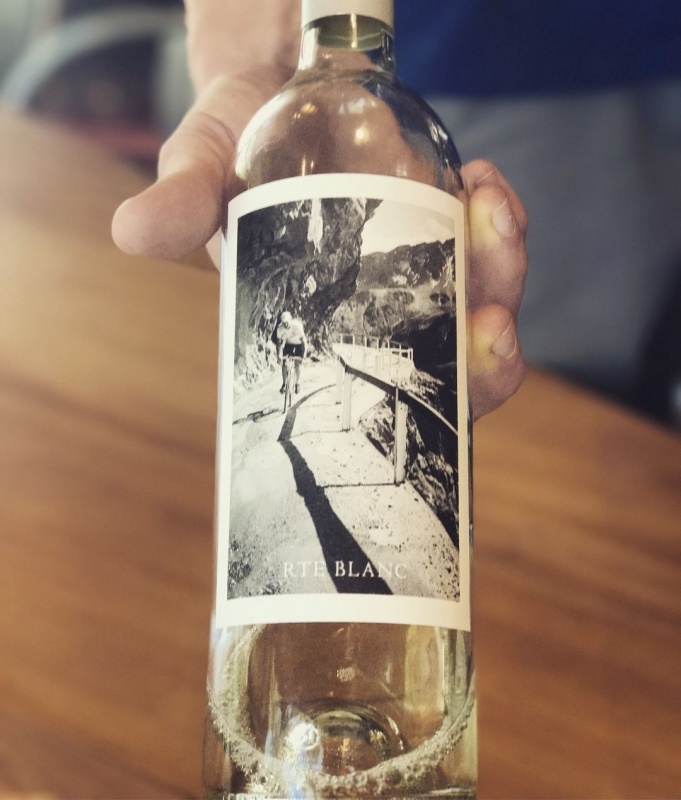 You can order a glass of wine with your food and hang out in their tasting room or the back patio area as you enjoy your meal. I’d highly recommend their 2016 Reserve Sauvingnon Blanc or their 2016 Chardonnay as a great combination with both the mushroom and their cured smoked salmon. With the other food pairings, I’d suggest a glass or a bottle of the 2012 Bici Red. I’m making myself hungry just writing this article. Unfortunately, as I write this post it’s already too late for me to drive there and get some of their deliciousness – dang it! The Clif Family Bruschetteria hours of operation are 11 a.m. to 4 p.m. Tuesday through Sunday. If you go, take a friend or two and try a couple of these amazing bruscetta delights. Tell them Napa Food and Vine sent you! That food looks amazing. Very different from their clif bars which I adore!